PIZZA RESTAURANT - LOW RENT - BEAUTIFUL BUILDOUT! LOW, LOW, Rent. This Pizza Restaurant is located on high traffic street corner in an upscale neighborhood in Gilbert. Beautiful décor that offers a relaxing environment for customers. This restaurant has 1700 square feet with 72 seats indoor and 16 on the patio and plenty of parking. Rent is the best part only $1800.00 and new lease shall be negotiated prior to transfer. There is a type I and type II hood system. 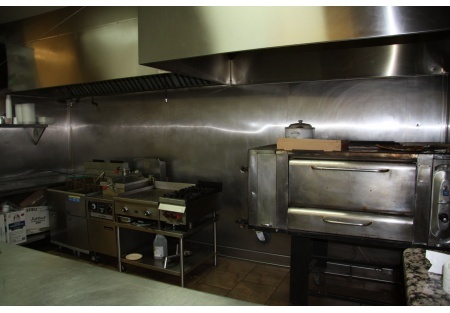 The cooking hood is about 8ft with two deep fryers, a flat iron grill, pressure fryer and a stove. The seller wants to devote more time as a full time volleyball coaching and his family.